Genome engineering is a process of insertion, deletion, modification or replacement of DNA bases in an organism. There are two types of gene therapy, Ex-Vivo Gene Therapy and In-Vivo Gene Therapy. Ex-vivo gene therapy involves the transfer of genes in cultured cells and then reintroducing in patient, while in In-vivo gene therapy, genes are directly delivered in cells of a particular tissue. Key companies such as CRISPR Therapeutics AG, Editas Medicine, Inc., and Intellia Therapeutics, Inc. are focusing on developing In-Vivo and Ex-vivo gene therapy. Major techniques used in genome engineering are CRISPR, TALEN, and ZFN. CRISPR (CRISPR-Cas9). These are innovative genome editing tools that enable researchers to edit parts of the genome by adding, removing, or altering sections of the DNA sequence. CRISPR is an accurate, faster, and cheaper technique for editing DNA as compared to others methods such as TALEN and ZFN. Transcription activator-like effector nucleases (TALEN) is a technology widely used in live cell gene editing. Zinc-finger nucleases (ZFNs) is an artificial restriction enzyme, which simplifies targeted editing of genome by creating double-strand breaks in DNA at user-specified locations. 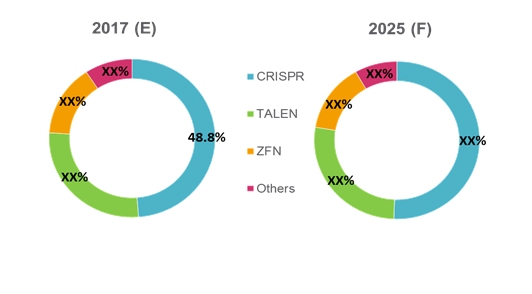 Key players in the market are focusing on developing novel technologies and launching new products for genome engineering, in order to increase their market share. For instance, in February 2018, Sangamo Therapeutics, Inc. received clinical trial authorization (CTA) from Medicines and Healthcare Products Regulatory Agency (MHRA) in the U.K. for its SB-FIX, a zinc finger nuclease (ZFN)-mediated in-vivo genome editing treatment for hemophilia B. CTA has allowed for the beginning of Europe's first in-vivo genome editing study. In 2017, Integrated DNA Technologies, Inc. launched the first Cas9 enzyme variant, which reduces off-target effects in CRISPR genome editing. The launch of latest Cas9 enzyme variant is a major step towards therapeutic use of CRISPR. In 2017, Scientists at Salk Institute for Biological Studies, modified CRISPR to epigenetically treat diabetes, kidney disease, and muscular dystrophy. They developed a latest version of CRISPR/Cas9 genome editing technology, which allows for activation of genes without creating breaks in the DNA. The development of such novel technologies is expected to be major driving factor for growth of global genome engineering market. 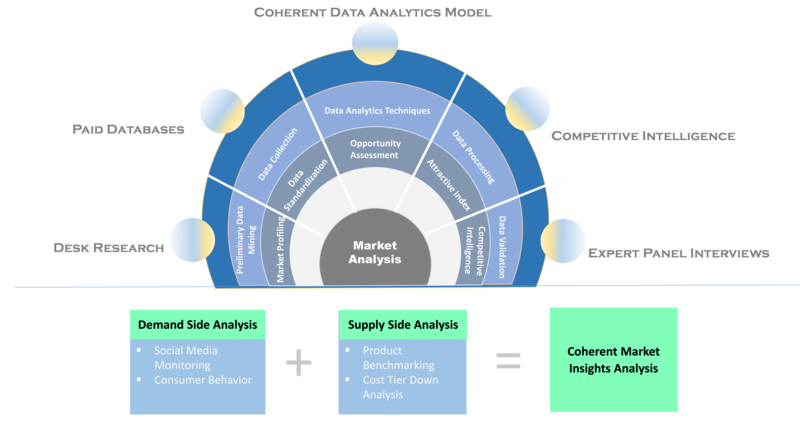 Players in the market are focusing on strategic collaborations, in order to increase their product offerings. For instance, in February 2018, Kite Pharma, Inc.—a Gilead Sciences, Inc. company— collaborated with Sangamo Therapeutics Inc. for developing engineered cell therapies to treat cancer. As per the agreement, Kite Pharma, Inc. will use Sangamo Therapeutics’ zinc finger nuclease (ZFN) gene-editing technology for developing next-generation ex vivo cell therapies for treatment of cancer. Furthermore, in 2017, Synthego and Thermo Fisher Scientific collaborated to manufacture and distribute synthetic guide RNA products for CRISPR genome engineering. In 2016, CRISPR Therapeutics and Bayer AG collaborated and formed a joint venture Casebia Therapeutics, for developing CRISPR-based therapeutics in select disease areas. Moreover, in 2017, Casebia Therapeutics collaborated with CureVac AG. According to collaboration agreement, CureVac will develop novel Cas9 mRNA constructs with improved properties for gene editing applications. In 2015, AstraZeneca plc. announced research collaborations with The Wellcome Trust Sanger Institute, The Innovative Genomics Initiative, Thermo Fisher Scientific, and Broad Institute/Whitehead Institute to use their CRISPR technology for genome editing. 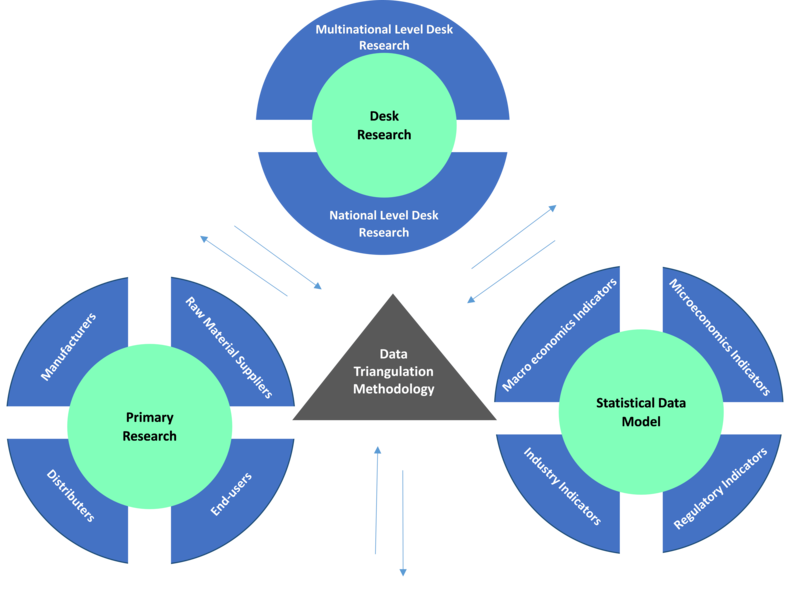 Such strategic collaborations among major key players and research institutes is expected to drive market growth in the near future. Key companies covered as a part of this study include Thermo Fisher Scientific Inc., CRISPR Therapeutics AG, Intellia Therapeutics, Inc., Editas Medicine, Inc., Sangamo Therapeutics, Inc., Bluebird Bio, Inc., Cellectis S.A., and Merck Group. *Browse 47 market data tables and 42 figures on “Genome Engineering Market - Global forecast to 2025”.